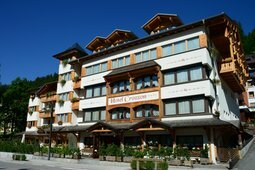 Welcome to the Hotel Crozzon in Madonna di Campiglio where "hospitality" is a word with a deep meaning and where sensitivity and respect towards the guests have always been dedicated to make your stay unforgettable. 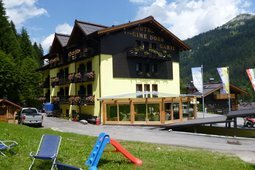 The Garni Hotel Cime d'Oro, friendly and ideal for families, is located in a sunny and panoramic position just 700 meters from the centre of the village and from the ski-lifts. 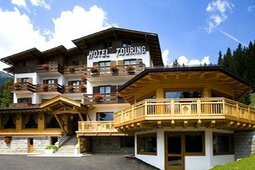 You will stay in comfort bedrooms equipped with a nice balcony overlooking the Dolomites mountains. The apartment can accommodate from 2 to 6 people and comes with two bedrooms, spacious living room with kitchen and possibility of two additional beds, bathroom, terrace and parking space in the large private garden. 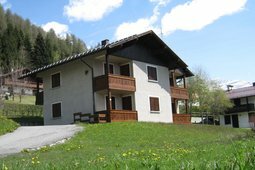 It is located only 4 Km from Madonna di Campiglio. 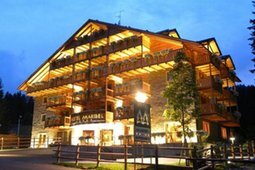 The Maribel Hotel is located in the heart of the Campo Carlo Magno pine forest, in Madonna di Campiglio, directly facing the Brenta Dolomites, the Grostè ski lift, and Val Gelada. Overlooking the Campo Carlo Magno and the departure and arrival point of the ski pistes. 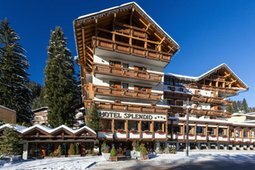 The Hotel Splendid is located in a central position in Madonna di Campiglio, directly at the entrance of the pedestrian area, with a fantastic view of the Dolomites and of the pond for the ice-skating. From the Hotel Splendid you can easily reach the lifts of the Five Lakes. Hotel Touring has been managed by the Dallagiacoma family for generations. The excellent location ensures a relaxing holiday in all seasons: although very central, it is at the same time very quiet and sunny, being surrounded by a private garden/park.